The fabric is from online at Girl Charlee (my favorite place to buy knit fabric), and it’s pretty busy, with the “love” print and the triangle print being about the same scale – but you readers picked it for me, and I kinda love how busy and crazy it is – it’s not something you could just go pick up off the rack at a store. 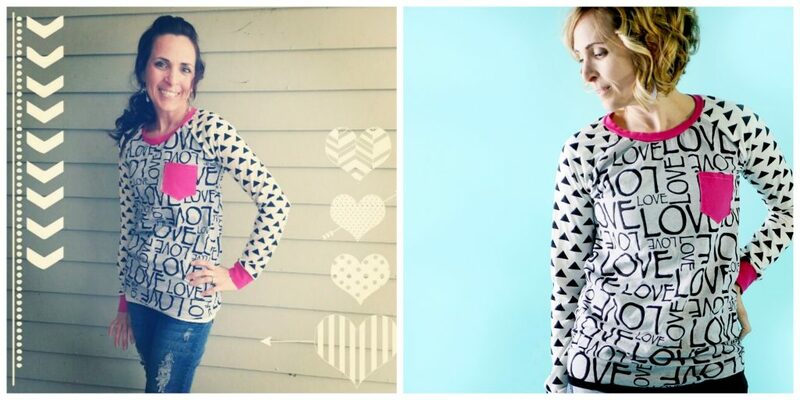 The pattern is my favorite – it’s my go-to pattern when I’m making a tshirt, and it’s the Lane Raglan pattern – it’s one of those patterns you actually use, over and over again. 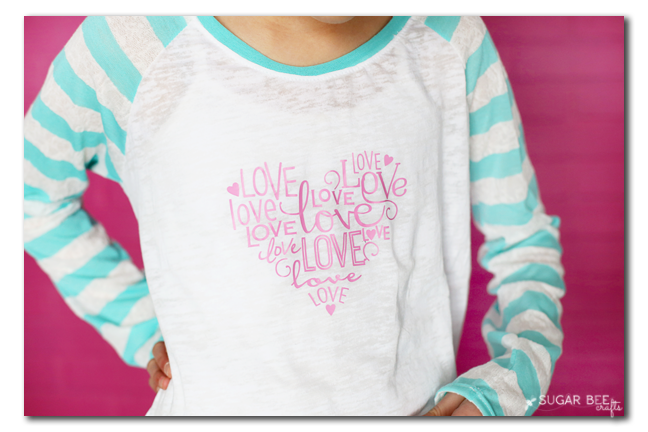 You can bet that I was pretty excited last week when the pattern XS size would work for my 11-year old on her Love Heart Tee – I see lots more in her future! On hers, same pattern, but I didn’t include the cuffs or waistband. 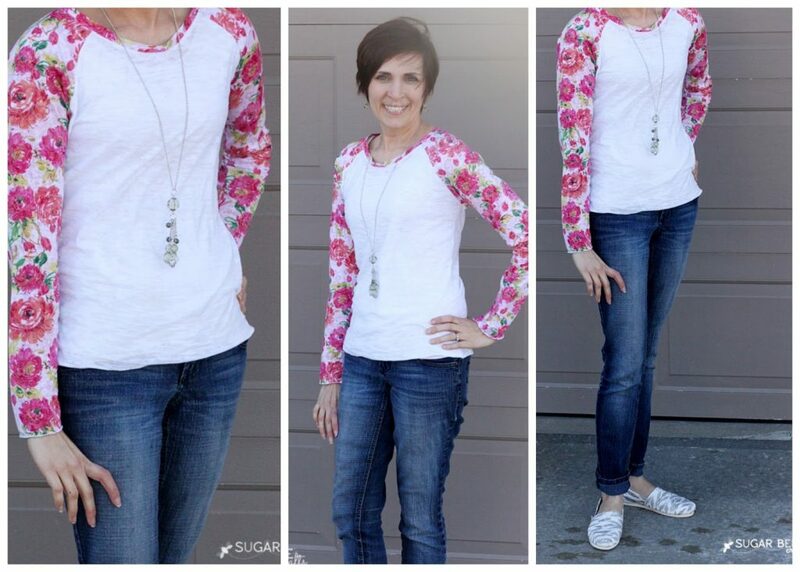 Same with the floral one I made for myself – no cuffs or waistband. I like it both with and without cuffs, so it’s fun to have some with and some without.